Double the durability and withstands twice the number of launderings of standard blend mops. Engineered with continuous filament bi-component Microfiber yarn for superior cleaning efficacy, superior absorbency and release characteristics. Pre-laundered and pre-shrunk; works with traditional wet mop handles. Head Type: Wet Mop; Application: Floor Maintenance; Mop Head Style: Cut End; Mop Head Size: Large. 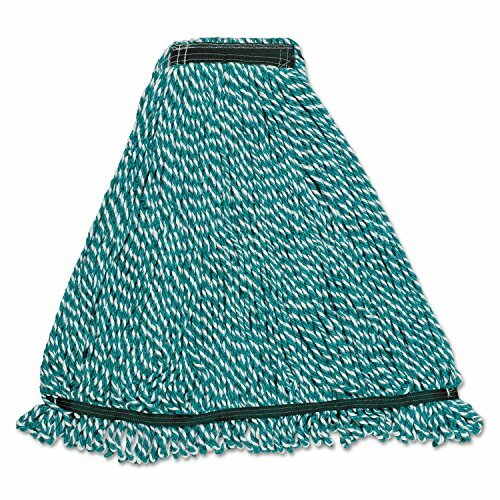 Withstands twice the number of launderings of standard blend mops making it doubly durable. Engineered with continuous filament bi-component Microfiber yarn for superior cleaning efficacy, superior absorbency and release characteristics. Pre-laundered and pre-shrunk; works with traditional wet mop handles.